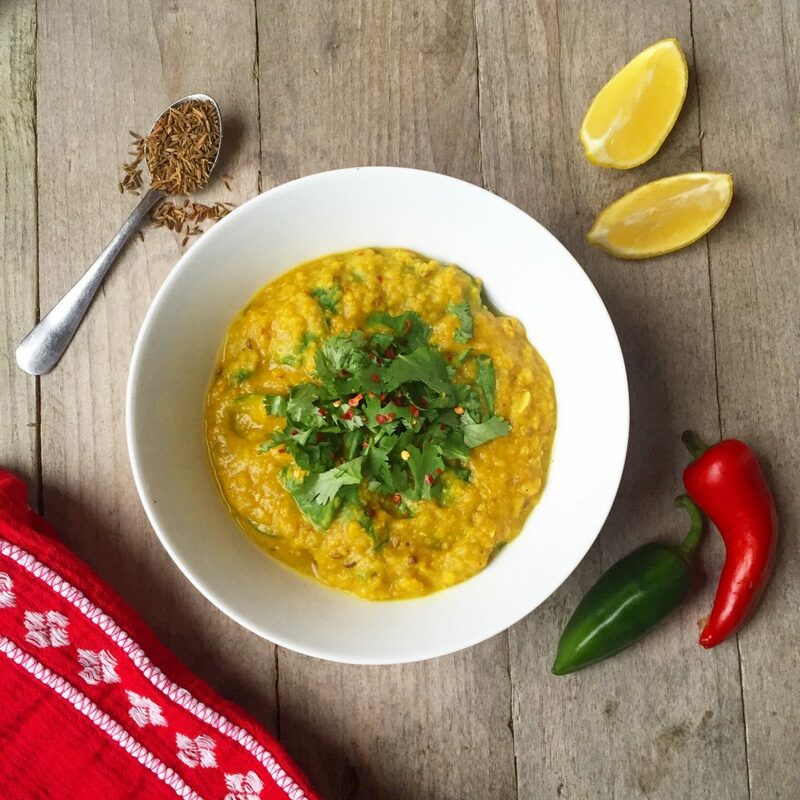 This is such a simple spicy red lentil dal recipe! It’s a warming bowl of healthy deliciousness that’s easy to make and so flavoursome. Be warned: I pack a lot of spice in to this dal. 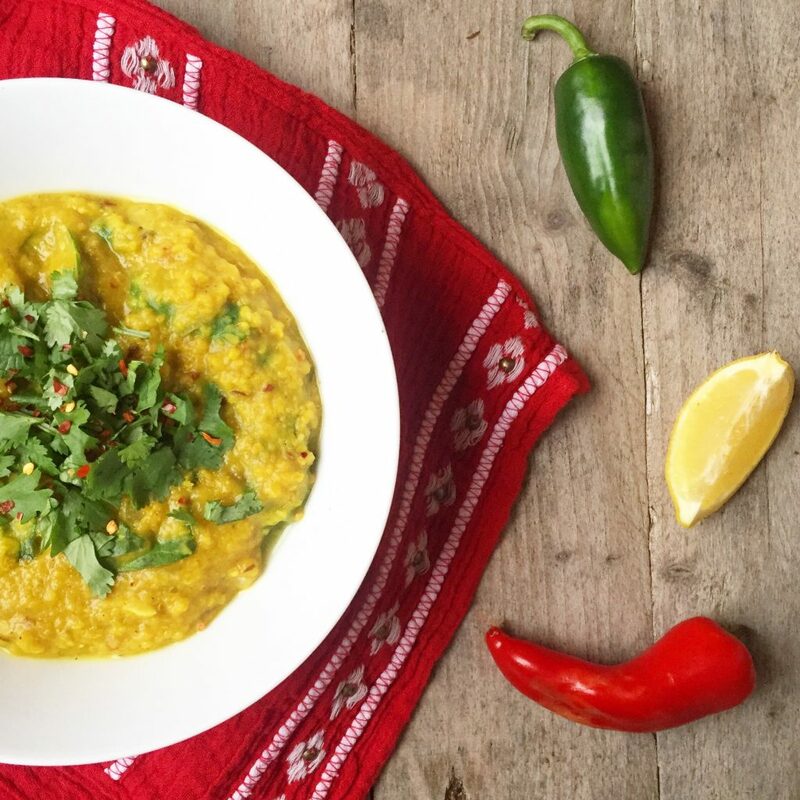 I’ve eaten some pretty bland dals in the past and I refuse to make a dal that isn’t infused with the most vibrant, tastebud tantalising flavours. Rinse the lentils with cold water, then drain and put in a large pan, cover with 1.5 litres of cold water. Add the turmeric. Bring to the boil and skim off any foam that rises to the surface. Turn the heat down to medium, and cook for around 20 minutes stirring occasionally. While the lentils are cooking heat the coconut oil in a frying pan over a medium heat and add the onion. Stir until golden and beginning to brown, then add the garlic and ginger, and cook for a couple of minutes, until the garlic has softened. Add the cumin, mustard seeds, chilli and ginger and cook for a couple more minutes to toast the spices and release their flavours. When the lentils are cooked, tip in the spicy onion mix, and stir through. 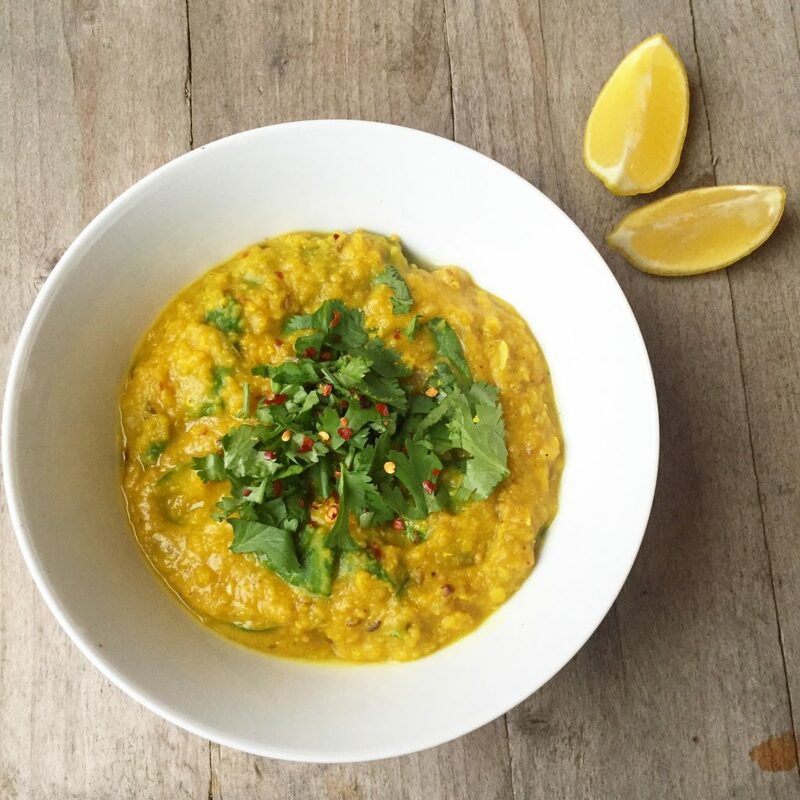 To finish your dal, remove it from the heat, and stir in the spinach and lemon juice. Let the spinach wilt a little, then top with the fresh coriander and serve. If the consistency of the dal starts to get too thick just add extra boiling water to the cooking lentils. This is substantial enough to eat on it’s own, or you could serve with brown rice, or a side of roasted broccoli! 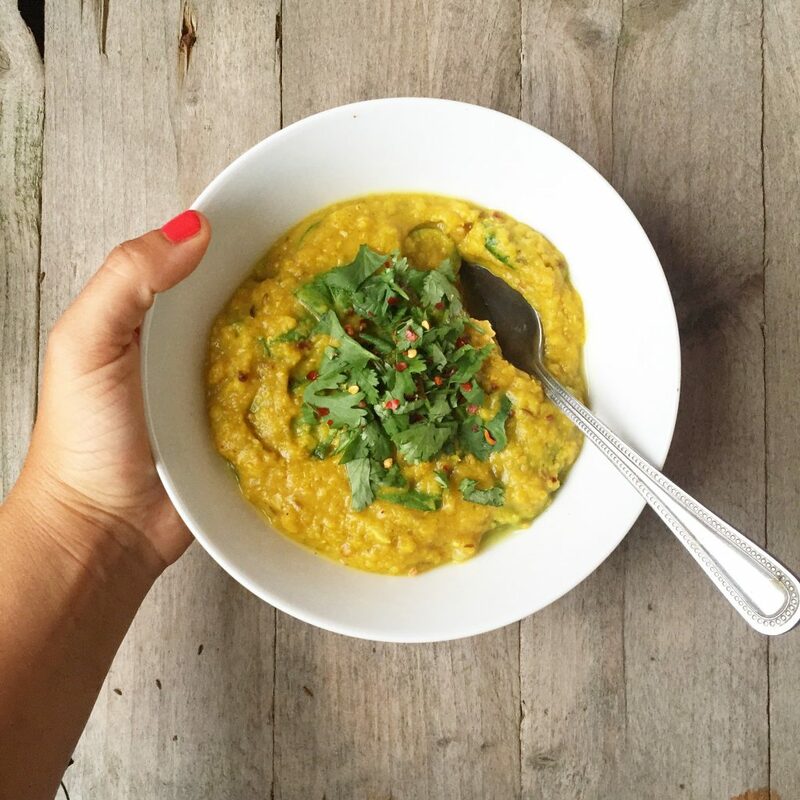 If you liked this recipe make sure you use sign up to the Shine newsletter here for weekly health and well being inspiration, online yoga classes, recipes and more! I think it would still be really tasty without the garlic and onion thanks to all the spices and ginger. You could add a few chopped tomatoes instead of the onions too. Let me know how it goes! I hope you enjoy it.